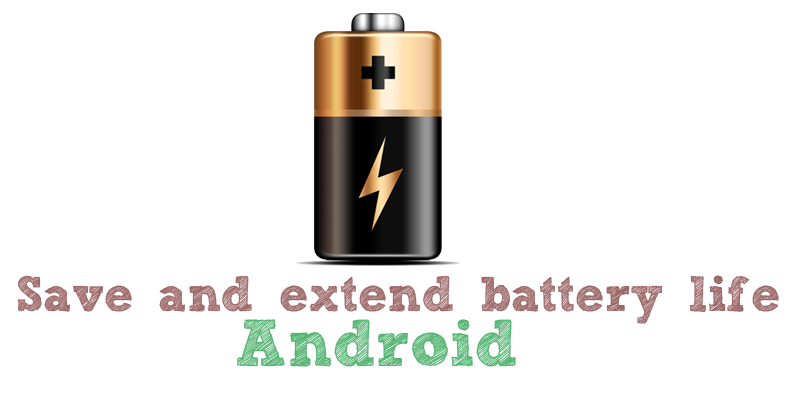 Battery life is a great concern when it comes to Android Phone and Tablets. As we all know smartphones are more power hungry and this is mainly because of hardware and multi-tasking. Although, some manufacturers have started shipping some flagship models with the big battery up to 5000mAh. But we still have to fight to get better battery life on old or low-end Android devices. Most of Android users who always keep the 4G or 3G data on at every time and use their phone a lot for Facebook and Whatsapp, will end up exhausting their device battery life within 8-12 hours, gamers do it much faster. There are two approaches to solve this problem, either you carry a 5000-10000 mAh external battery power pack or you can optimize your phone to get better battery life. On this page, I will explain how to select your phone and optimize it for better battery life. Use dark theme– If you have an AMOLED display, then you can save a lot of battery with a dark theme or a custom made dark ROM available on forums. On AMOLED screen, the more power is consumed by colored pixels. Do not use Auto brightness– Most of the users rely on Auto brightness, but it’s usually much brighter than what is actually needed. If you don’t have a reflective screen, then you will not need much of backlight at all time. I use Lux lite app available for free on Play store to keep the brightness controlled at all time. I can even reduce the backlight much less than what my default Android system allowed. This saves battery and also reduces stress on the eyes. No vibration – It takes much power to vibrate the phone, I see many Android users have vibrate on keypress and while dialing on as default. Go to settings>>Sound to disable vibrate on touch. You can do same with keyboard and dial pad settings to disable “vibrate feedbacks”. This will save you a lot of battery life. Original batteries – It’s always suggested to use original spares, if you feel that original spares are expensive then buy something that is safety certified and manufactured by a respected third party. Low-quality batteries give less power juice but can also cause accident [like heating and bursting]. Display screen timeout– A shorter screen timeout can save you a lot of battery juice in the long run. Try different timeout settings and select the lower one which fits your use. Turn off extra features- Do you have options like a wave to unlock, air gestures, smart scrolling etc available on your device. Please do remember that these settings, use proximity, Gyro and light sensors to function, which drains lots of battery juice. Better disable these extra features to get better battery runtime. Turn off unnecessary wireless functions – Wireless connections like GPS, Bluetooth, Wi-Fi, NFC, 3G or 4G are power consuming. Better turn off all of them and enable them only when required. Use lock screen widgets or notification if your firmware supports. If it does not have a feature similar then try installing Dynamic notifications, which will show all the notifications on Lock screen. If you can check all necessary updates on the lock screen, and will use your screen less it will save a lot of power. Do not use widgets that regularly need updates from the internet – Widgets like Currency, weather, news etc needs regular updates from the internet and thus, consume battery juice. Regularly updates apps – Developer keeps patching issues and tweaking their app for better battery life and performance. Keep updating your apps regularly to have the best optimization available. Remove old unused widget and apps – Remove apps that you have not used since a long time, you can also remove preinstalled app from Android device. Use power saving options – Most of the manufacturers are now shipping their devices with built-in power saving setting. Better customize and use them for power saving. You can also use Greenify for better power saving by auto killing apps when phone sleeps. That’s all for now, if you still face glitches with your device battery, then I would suggest carrying a power bank to charge your device whenever required. A 5000+ mAH battery is more than enough, if you carry multiple devices than you can use a power bank that provides 10000+ mAH of power. If you going to powerful devices and want to use them all round the day, then better choose a device with the bigger battery.